XVI Архитектурная биеннале в Венеции в 2018 году проходит под кураторством ирландских архитекторов Ивонн Фаррелл и Шелли МакНамара. Тема биеннале – «Свободное пространство» (freespace). Темой же российского павильона стала железная дорога. Проект получил название «Станция Россия». В выставке будет принимать участие 71 страна. 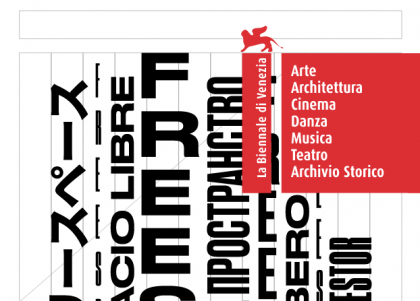 Open to the public from Saturday May 26th to Sunday November 25th 2018, at the Giardini and the Arsenale, the 16th International Architecture Exhibition, titled FREESPACE, will be curated by Yvonne Farrell and Shelley McNamara and organized by La Biennale di Venezia chaired by Paolo Baratta. The preview will take place on May 24thand 25th, the awards ceremony and inauguration will be held on Saturday May 26th 2018. «With the aim of promoting the "desire" of architecture», President Baratta explained that this edition curated by Yvonne Farrell and Shelley McNamara focuses on the question of space, the quality of space, open and free space. The fundamental parameter of reference is indicated with great clarity. But space, free space, public space can also reveal the presence or absence of architecture, if we understand architecture to be "thinking applied to the space where we live, that we inhabit". 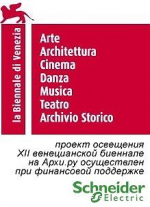 The 71 participants will be joined by others gathered in two Special Sections: the first numbering, 16 participants, is titled Close Encounter, meetings with remarkable projects and will present works that originate in a reflection on well-known buildings of the past; the second which counts, 12 participants, and is titled The Practice of Teaching, will collect projects developed as part of teaching experiences.